Automated liquid handling systems are multipurpose tools designed to perform multiple tasks in laboratories that include sampling, mixing, and combining of liquid samples automatically. The automated liquid handling system facilitates elimination of sample contamination and reduces manual work of lab personnel by performing several laboratory tasks. These workstations are able to measure samples, add reagents, and ensure addition of liquids to bioassays in uniform pattern. The liquid handling workstations differ in volume of samples that can be handled and are available with variety of integrated software to maintain the footprint of the tasks carried out by these instruments. Market players are introducing compact and user-friendly liquid handling workstations that can be operated in small and mid-level laboratories, in order sustain in the competitive market. 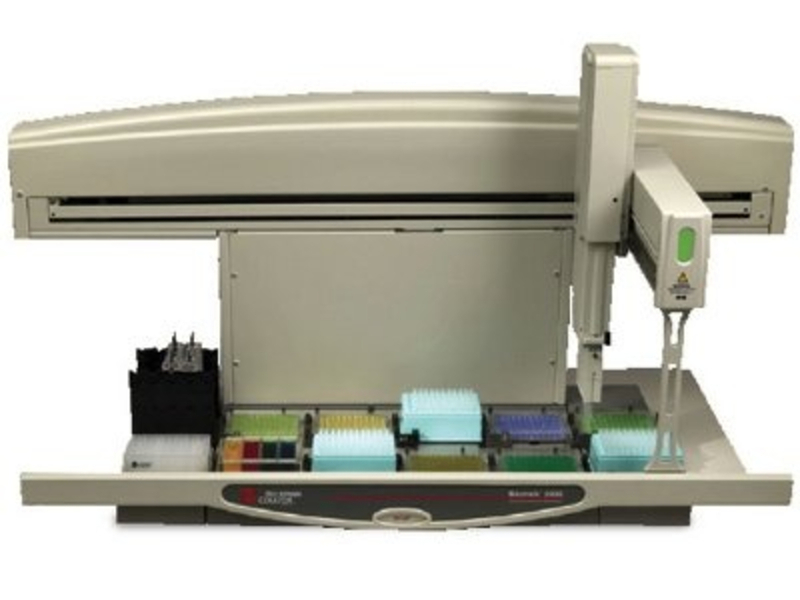 For instance, in January 2014, Hamilton Robotics introduced NIMBUS PCR workstation at the annual Society for Laboratory Automation & Screening Conference. It is a compact and affordable workstation that enables fast and flexible assay set up. Moreover, Tecan Group Limited introduced Fluent Gx Automation workstation in February 2018 that is designed specifically to meet the stringent needs of clinical and regulated laboratories. Pharmaceutical companies are increasingly focusing on conducting number of research and development activities as well as outsourcing such activities to academic and private research institutes, which is increasing the number of new laboratory set-ups. This in turn increases demand for liquid handling systems, thereby fostering the market growth. Moreover, pharmaceutical companies are increasingly outsourcing their research to privately-based contract research organizations (CRO) to stay competitive in the exponentially growing pharmaceutical and biotechnology medicines sector. For instance, in May 2018, Ritter Pharmaceuticals, Inc.—a developer of novel therapeutic products entered into an agreement with Medpace—a clinical research organization (CRO)—to conduct the first of two pivotal Phase 3 clinical trials for RP-G28 among patients with lactose intolerance (LI). In October 2016, Sun Pharma—an India-based pharmaceutical company—announced plans to increase its research and development activities by investing in a new R&D unit at Madhya Pradesh, India. North America accounted for the largest share in the Automated Liquid Handling Systems market, followed by Europe market in 2016, owing to rapid development and launch of novel tissue automatic and robotic assisted liquid handling workstations. For instance, in January 2014, Hamilton Robotics introduced NIMBUS PCR Workstation—a compact and affordable pipetting workstation that enables fast and flexible assay setup for endpoint, real-time, qPCR or multiplex PCR. Furthermore, several European companies are receiving funds from various public as well as private sources to conduct advanced research for developing drugs through progressive research and innovation. For instance, in June 2017, Novartis AG received US$ 300 million fund from Medicxi—an investor in life sciences research—to develop novel technology and therapies in areas ranging from diabetes management to robotic surgery. Major players operating in automated liquid handling systems market are focused on new product launches. For instance, in October 2017, Qiagen launched a next-generation DNA testing automated workflow in collaboration with International Commission of Missing Persons (ICMP) for DNA identification through Qiagen’s instruments and consumables for DNA extraction, liquid handling, and others. Major players operating in the market are Aurora Biomed, Inc., Hamilton Company, Tecan Group Ltd, Eppendorf AG, Qiagen N.V., Mettler-Toledo International Inc., Corning, Inc., Bio-Rad Laboratories Inc., PerkinElmer, Inc., Agilent Technologies, Inc., Danaher Corporation, and Thermo Fisher Scientific Inc.